Iranian Foreign Minister mocks US national security adviser using a play on the “10-year challenge”. Iranian Foreign Minister Mohammad Javad Zarif on Friday mocked US national security adviser John Bolton using a play on the “10-year challenge” which has gone viral on social media in recent weeks. The Wall Street Journal reported earlier this week that after mortar shells were fired in September near the US embassy in Baghdad by an Iran-aligned group, Bolton asked the Pentagon to provide the White House with military options to strike Iran. Officials said that the Pentagon complied with the request. However, according to the report, it is unclear whether the proposals were provided to the White House, whether Trump knew of the request, or whether serious plans to strike Iran took shape at the time. On Friday, Zarif tweeted the titles of two separate articles by Bolton from 2009 and 2019, both calling for strikes on Iran. The “10-year challenge” involves social media users comparing their profile photos from 2009 and 2019. “Whenever/wherever US interferes, chaos, repression and resentment follow. The day Iran mimics US clients & Pompeo’s ‘human rights models’—be it the Shah or current butchers—to become a ‘normal’ country is the day hell freezes over. 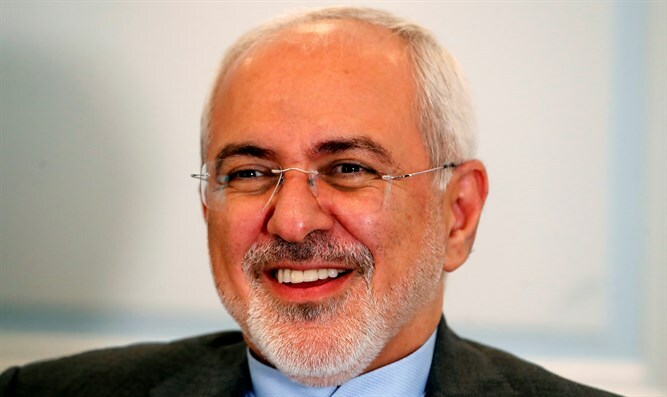 Best for the US to just get over loss of Iran,” tweeted Zarif. Earlier this month, the Iranian minister suggested on Twitter that the United States and Israel should leave, in a mocking post that came as the two countries’ withdrawal from UNESCO, the UN’s cultural agency, went into effect.